In a continuation to the Mesopotamian civilizations research and before touching on the Babylonians, we have to research the Amorites because they are the seed for the Babylonians and their existence has affected the historical chain of events. I will follow the theory of Prof. Kaza'al Al-Majidi of the origin of the Amorites. So I have to give the reader a brief of Prof. Al-Majidi, born in Iraq 1951, completed his studies in history from Baghdad university, then took his PhD in ancient history religions and civilizations, worked as a history tutor in Libya, Romania and Holland where he resides now, published 50 books in his field of studies one of which was the "Amorite's beliefs" which most of this material was taken from. 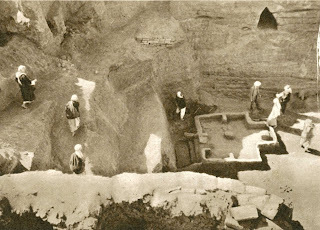 There were many theories about the origins of the Amorites but without archeological support or was out of the sequence in historical events, for example it was thought that their origins were from Arabia, the Red sea, Sinai or the Gulf are all not backed by scientific evidence, but what we know about the Amorites is that in 4000 BC those Semites dwelled along the Western side of the Euphrates River and the Western desert and according to the Prof. AL-Majidi they inhibited the famous archeological site of Ubaid( which ceased to be inhibited by 3500 BC when the Sumerians era started). They had close relations with the Sumerians who called them "Martu" named after the name of the god of the nomads. They were also called "Amuru" by the Akkadians which means the people of the West as they have lived to the West of the Euphrates and the desert. Prof. Al-Majidi research reached the conclusion that all the 3 groups share the same theology starting from sharing the mother god "Yem" which is the high god, also the planets and the lower world gods, in addition they share the same traditions and habits and finally their folklore or mythology is exactly the same which leaves no doubt that they were one entity. Also we cannot ignore the names of their new kingdoms relates to the names of their gods, he also concludes that all the Canaanites whom were called Shamites then the word turned to Semites were the people that migrated to the Levant from Mesopotamia. The Amorites first encounter with power was in the desert city of Mari which gained its importance from the trade route between Mesopotamia and the North. They were given self determination by the Sumerian kings, so they had their own kings to rule with partial independence and started using cuneiform writing in the year 2600 BC as shown in the tablets. This was also true when Sargon of Akkad came to power after the fall of Sumer. As the Akkadian empire became weaker in time and the Amorites gaining power, they tried to gain full independence but unfortunately for them the last of the strong Akkadian kings Sha-Kali-Shari managed to defeat them. 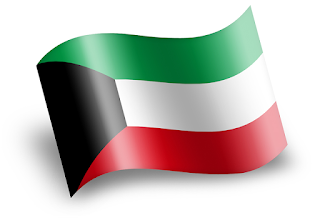 They had to wait till the year 2004 BC after the Semites of Akkad and the Amorites joined forces to defeat the last kingdom of Kish, and started their first kingdom of Isen. The first true kingdom of the Amorites, was ruled by 15 kings for 225 years, and the first ruler was Ashby-Eira and was named the king of Sumer and Akkad in a show of power and greatness and ruled from 1959 BC till 1927 BC, after the fall of the resurrected third dynasty of Ur to the Elamites.The kingdom flourished with science, might and even laws since king Libat-Ishtar whom ruled from 1875 till 1865 BC wrote the first law and that was 150 years before the law of Hammurabi, taken from the laws of Ur 3rd dynasty and Ashnuna. But like every kingdom in ancient history, it fell to the Elamites in the year 1780 BC, and was revenged later on by the Babylonians whom where Amorites by origin and even invaded Elam to the East . 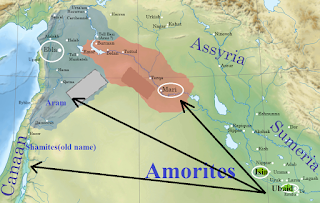 The Amorites established this kingdom in the North and was a centre of later established cities and kingdoms in Syria like Yekmed in Aleppo and Totul in Heit today North Iraq and the kingdom of Ammuru east of Al-ASSY River, it was finally destroyed by the Hittites in the year 1200 BC. The nomadic people called the Amorites, managed to get civilized thanks to Sumer and Akkad and to establish cities and kingdoms and later empires like we will learn later about the first dynasty of Babylon.